I know flying is often a frustrating experience, at least if you allow yourself to forget that you live in a magical age where you can soar through the skies at nearly the speed of sound while playing a video game in one hand and shoving Combos into your mouth with the other, but there’s really no good reason anyone on a flight should turn into a fist-throwing rage-moron like this guy did on a Scoot Airlines flight TR7 from Australia’s Gold Coast to Singapore. The pilot was forced to divert the Boeing 787 Dreamliner—a plane whose large windows sure help to illuminate the crazed jackass going batshit in the plane—after just two hours and land in Sydney. Props to the guys at the end who took him down. Passengers were eventually routed to other flights to Singapore, either on Scoot or Singapore air. 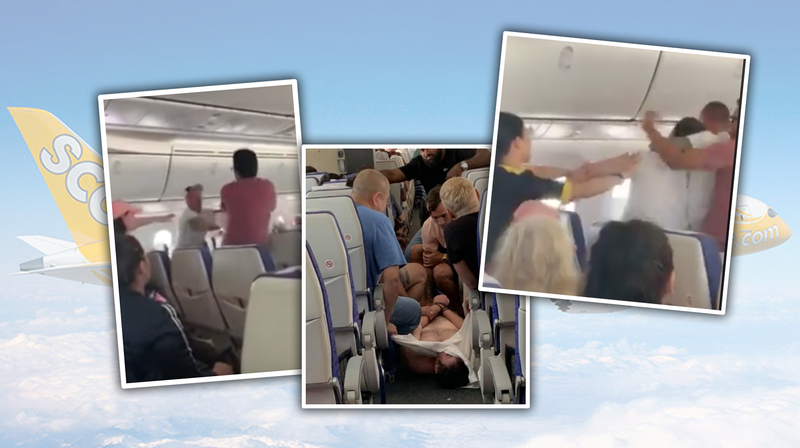 Paramedics and Australian Federal Police were waiting to apprehend the plane-brawler, though at this time no official charges have been filed.